Welcome to your friendly local vet. At East Bentleigh Animal Care we pride ourselves on our caring and compassionate team, lead by veterinarian Dr. Tarlochan Singh. 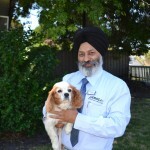 Dr Singh has worked as a veterinarian in Australia for over 20 years. He founded our East Bentleigh vet clinic and is supported by our caring group of nurses, visiting surgeons, dog trainer and our business manager. 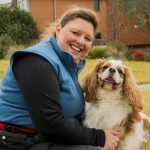 If you are looking for a friendly local vet and the best possible service in Clarinda, East Bentleigh, Oakleigh South, Ormond, Clayton, Moorabbin, Brighton and Heatherton – come and see us. Please click on this link to make a booking at our busy East Bentleigh vet clinic. Or call 9579 5858 to speak to one of our friendly staff right away. 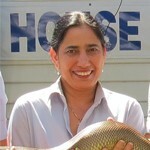 Dr. Tarlochan Singh graduated from the Queensland University Veterinary School in 1999. 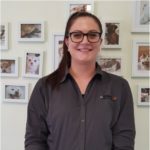 After working with small animals in Melbourne and Canada, he established our East Bentleigh vet clinic as a single vet practice registered in Victoria in 2004. That’s how East Bentleigh Animal Care was born. Tarlochan has a passion for quality care and small animal surgery and has a strong focus on preventative care. Dr Tarlochan’s vision was to create a friendly local vet centre – a caring environment where clients and patients are treated with equal love and care. Tarlochan is the owner of a Cavalier King Charles Spaniel called Neo, who loves to go for walks in the park. Neo tries to chase the ducks, but fortunately he is not clever enough to catch them. Dr Sara Baldey joined our team in 2018. She graduated from Murdoch University School of Veterinary Science in 2004. Before this she also did a Bachelor of Science degree with Honours in Organic Chemistry. Sara has worked in both mixed and small animal practices in Victoria. She has also been a trainer in Small Animal Surgery for Veterinary Nurses at Box Hill Institute. Sara is certified in Veterinary Acupuncture and has been using this to help pets for 9 years. Sara has a soft spot for elderly pets and enjoys enhancing their quality of life. In her spare time, Sara enjoys spending time with her family members; her husband, two young sons and their elderly pets Charlie the Staffy and Pushi the moggy. 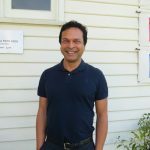 Dr Anaban Ghosh is based in Melbourne as a consulting veterinary surgeon. He graduated with Honours from The University Of Melbourne in 1996. Anabam has undertaken advancing training in Veterinary Surgery and in Veterinary Emergency & Critical Care. He is a member of both Surgery and Emergency Medicine chapters of the Australia & New Zealand College of Veterinary Scientists. Anaban works at several veterinary practices in Melbourne and country Victoria, and has been a visiting surgeon with us since 2013. He has helped a number of East Bentleigh patients with complex surgical conditions over the years. Anaban routinely performs surgical procedures to treat fractures, dislocations, ligament and tendon ruptures He also treats advanced cancers, hernias, foreign-body gastrointestinal obstructions, and a variety of other specific conditions. At home Anaban has two bright and robust boys who, to the delight of their father, also love animals. 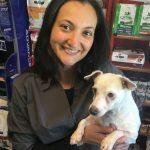 Jeet has been working at our East Bentleigh vet clinic since 2012 as veterinary nurse, surgery nurse and receptionist. Jeet was previously teaching for many years, before adopting a new profession in veterinary nursing. Her enthusiasm, patience, and gentle handling of all our patients make her a great addition to our team. Jeet spends her free time with her dog Neo adopted from Keysborough Animal Shelter (Australian Animal Protection Society). Debbie’s training career began with her own dog at the Croydon District Obedience Dog Club in 2012 Driven by her passion for dogs and their training she completed the CDODC instructors course in 2014. After instructing the Basic 1 classes (dogs over 6 months), she moved on to puppy classes (pups 5 months and under). Seeing the benefits of positive reinforcement training – Debbie commenced a course provided by the Gentle Dog Trainers Association. She also completed the Training Skills & Behaviour course by Kaye Hargraves in 2016 and the Brian Hares Canine Cognition Course (Duke University) in 2017. It seems like Debbie is alway learning as she continues to update and maintain her skills. She attends webinars, seminars, lectures and courses. Her efforts with her own Cavalier drove her passion for the human-canine bond. 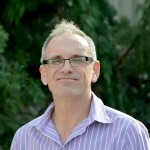 Michael joined this friendly local vet team in 2014 as our consulting business manager. He has over 30 years experience in management and advises EBAC on the best practices for customer service, marketing and staff management. Michael is always interested in client feedback. He graduated in Science from Victoria University, and in Business from Monash University. Today, Michael also works for Southpaws Specialty Surgery for Animals. He has two cats called Freckle and Skittles and a cockatiel called Calypo. Also at home are his Jack Russell / Maltese cross called Maggie who doesn’t like going for walks and finally his Beagle / Kelpie called Dakota (Dax for short) who loves walks, balls and food.